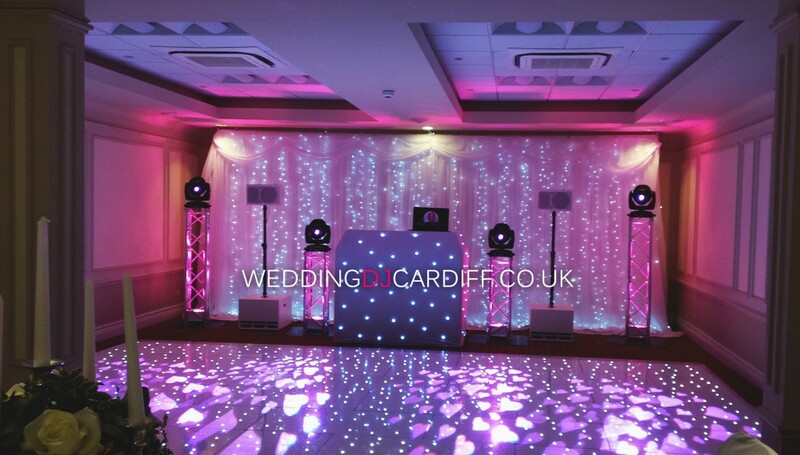 Also known as star curtain hire, starcloth hire and LED curtain hire, the Wedding DJ Cardiff starlit wedding backdrop is an ultra high quality addition to our South Wales wedding services. We love providing our backdrops because we know how much of a difference they make to your wedding venue. Why have a plain wall when you can have thousands of twinkling stars and elegant draping? What is our starlit backdrop? 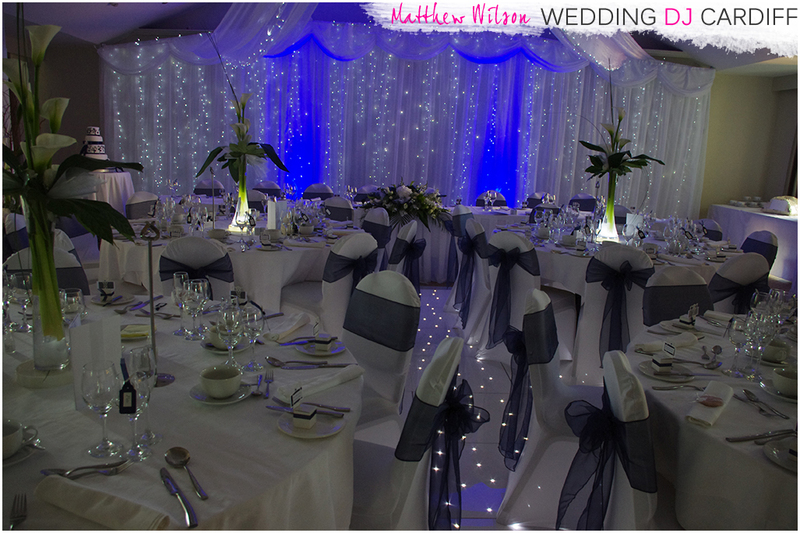 Our wedding backdrop is a professionally made bright white material which spans up to 9 metres in width. It’s 3 metres tall at full extension but is height and width adjustable to suit your venue or preference. Organza fronted drapes with Christmas lights hung behind them. Fibre Optic Starcloth hire – US! The twinkling stars can be seen clearly in daylight but it’s when the lights go down that the backdrop really comes to life! The speed and pattern of twinkles can be easily adjusted. If you want something special, you can even have the tiny stars any colour you wish! How important is an amazing wedding to you? 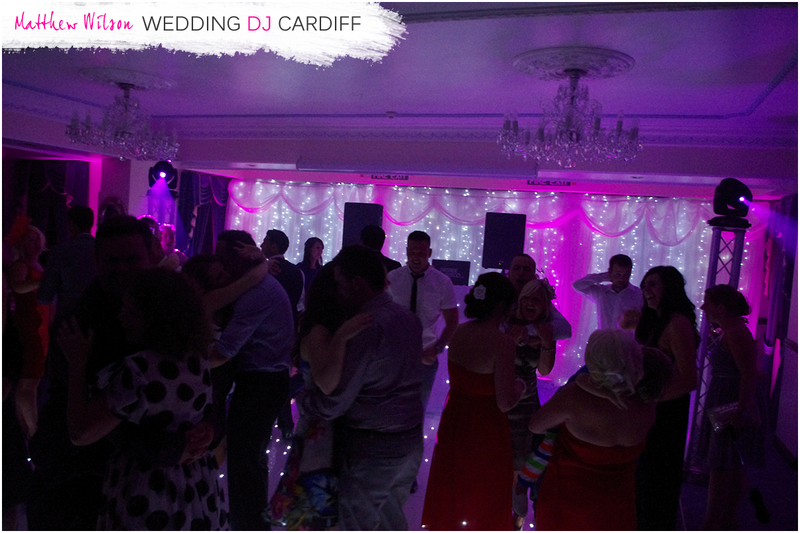 The outcome of your wedding is extremely important to me, I’ll ensure you have a fantastic time at your wedding in South Wales. My starlit backdrops are simply the best in the country.